Turkey extends from the most eastern part of Europe all the way to the Middle East. 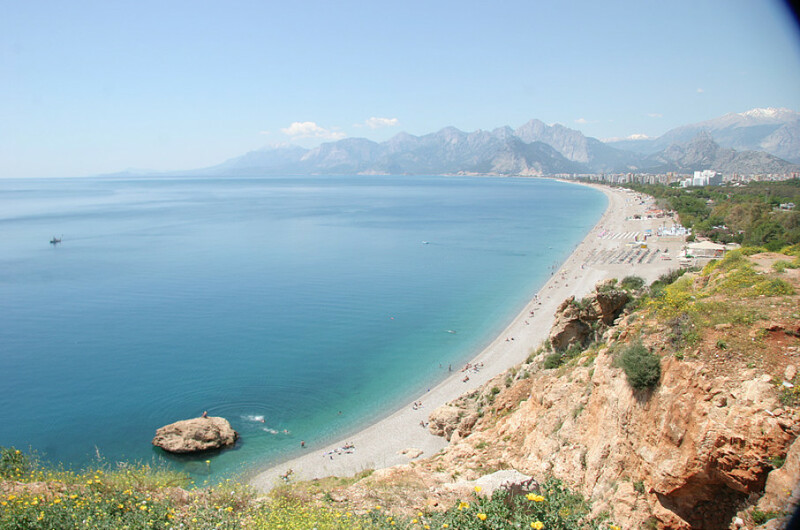 The country is not only great for beach holidays in coastal regions like Antalya or Side. Due to its turbulant history it was shaped by diverse Great Powers, such as the ancient Greeks, the Persians and Romans, the Byzantines, and the Osmans. Hence, Turkey has a lot to offer culturally as well. 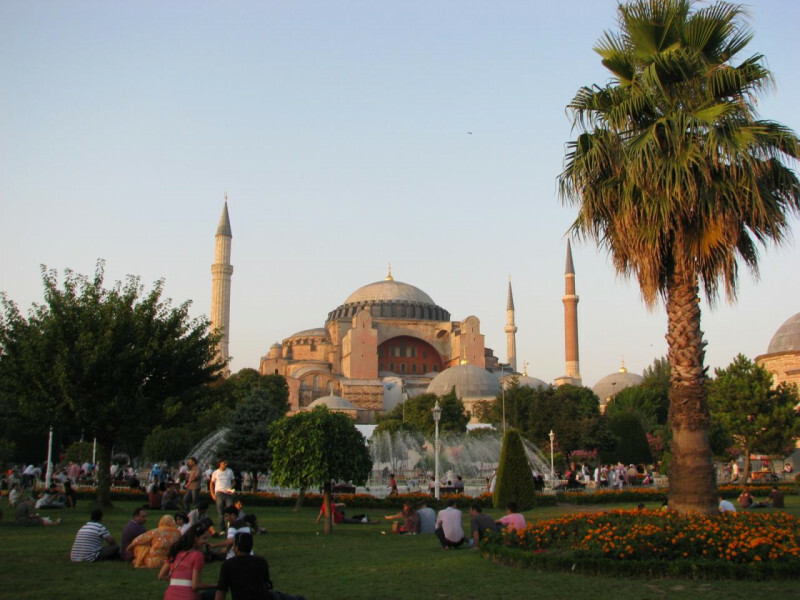 Istanbul, with famous Hagia Sophia and the impressive Blue Mosque, as well as the Turkish capital Ankara are some of the most popular cities. Moreover, you find a variety of ancient sites all over the country that bear witness to its historic significance. 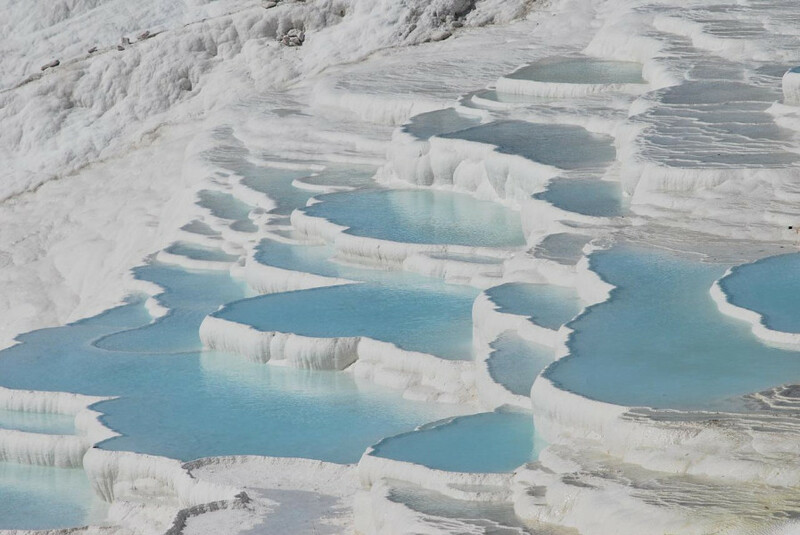 One of the special attractions is Pamukkale, located in the west of the country. Mineral-bearing thermal water runs down a hill over white travertine terraces. The ancient Roman spa city Hierapolis is found closeby. Several of its ancient buildings are partly preserved. The Taurus Mountains are one of the most interesting landscapes in Turkey. They range over 1,500 kilometres and divide the Anatolian Highland from the Mediterranean Sea and the Mesopotamian Lowland.